Alexander Cunningham was the son of a Scottish poet Allan Cunningham, he was born in London on the 23rd of January 1815.He was educated at Christ's Hospital, London and at the East India Company's Addiscombe Seminary . He finished his education at the Royal Engineers Estate at Chatham and joined the Bengal Engineers at the age of 19 as a Second Lieutenant. He spent the next 28 years in the service of British Government of India. Soon after arriving in India in June 1833, he had a life changing and very providential meeting with James Prinsep (who deciphered both Brahmi and Kharosthi). This meeting sparked his lifelong interest in Indian archaeology and antiquity and planted the seeds of the future course of his life. Cunningham was ADC to Lord Auckland, the Governor-General of India from 1836 to 1840. He was appointed Colonel of the Royal Engineers in 1860 and finally retired in 1861, having attained the rank of Major General. As part of his Military and Govermental duties he traveled the length and breadth of the sub-continent. He saw action during the Battle of Punniar and was a part of the commission that delimited the borders after the 1st Anglo-Sikh War. He had also previous carried out similar exercises in Kashmir where he came upon numerous temple remains. His earliest works arose from these visits. He explored Buddhist monuments in Central India, served for two years as Chief Engineer in Burma and for three years in the NW Provinces. Thus the entire gamut of Indian antiquity from east to west and in the north was already visited by him as a part of his Govt service. 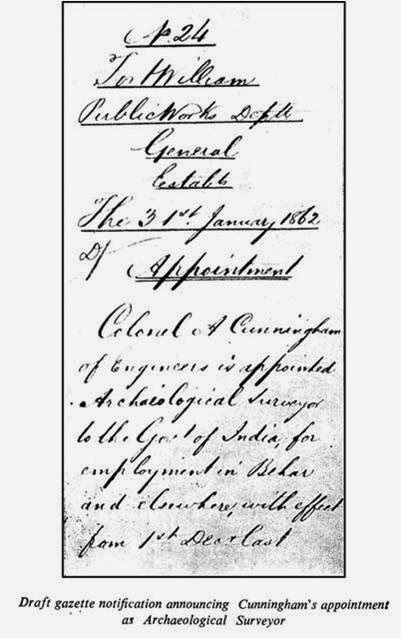 Cunningham working as a Second Lieutenant of the Bengal Engineers had assisted James Prinsep in formulating a plan in 1848 for an Indian Archaeological Survey . It was placed it before the British government, but, without success. During the same period many eventful decisions were taken by the government on the recommendations of the Royal Asiatic Society of the United Kingdom . Upon these recommendations, the Indian government sanctioned a small amount for repairs to the monuments. Lord Hardinge initiated a system approving proposals submitted by individuals based on their research and knowledge of Indian antiquities. The following years saw the uprising of the Indian soldiers and the events in 1857 virtually put a standstill of archaeological pursuits. After much more effort Cunningham finally resigned himself and upon retirement from the army in 1861 he left for England … much to his surprise the British Govt approved the creation of the post of Archaeological Surveyor and appointed Cunningham. There were scant funds available and almost no additional manpower, but Cunningham was undeterred and set about with the gusto of a much younger man to get the job done. Cunningham was greatly enamoured by Huen Tsang and almost all the efforts of the next few years were expended on tracing his journey and identifying the various locations he mentions in his books. 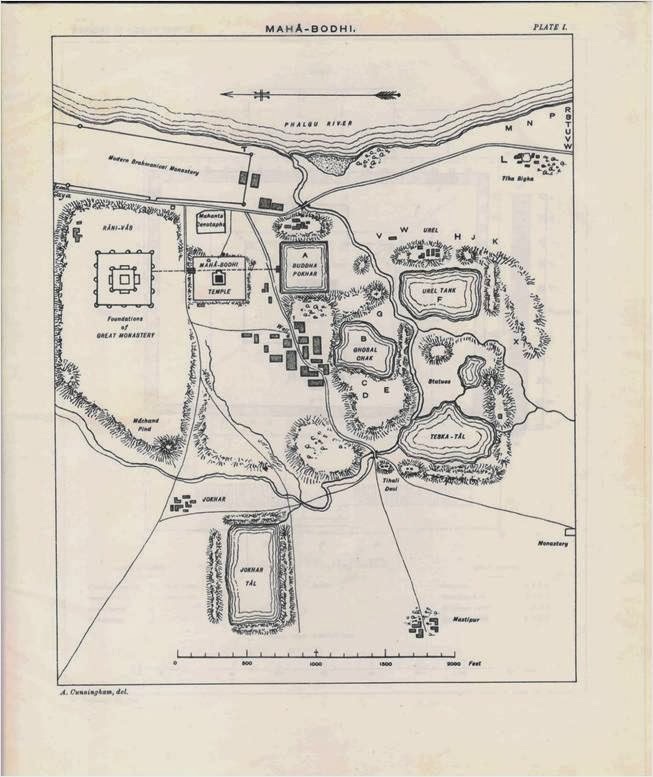 Cunningham was hugely successful and surveyed huge tracts of land from east to west in the Ganga Valley. He identified numerous important Buddhist sites, collected an enormous variety of artefacts, sculptures and coins and recorded a slew of inscriptions. This first survey lasted 5 years from 1861 to 1865 when it was abruptly abolished by Lord Lawrence. 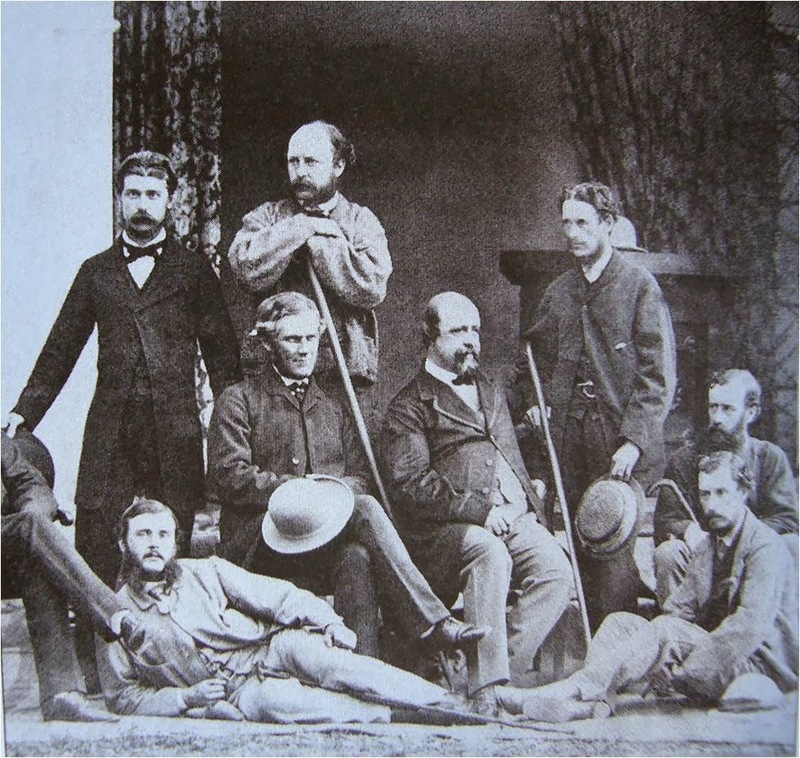 The Archaeological Survey was revived as a distinct department of the government and Cunningham was appointed as Director General who assumed his charge in February 1871. The mandate of the department - ‘a complete search over the whole country, and a systematic record and description of all architectural and other remains that are either remarkable for their antiquity, or their beauty or their historical interest’. Cunningham was also entrusted - ‘to direct his attention to the preparation of a brief summary of the labours of former enquirers and of the results which had already been obtained and to the formulation of a general scheme of systematic enquiry for the guidance of a staff of assistance in present and future researches’. Cunningham was given two assistants J.D. Beglar and A.C. Carlleyle who were later joined by H.B.W. Garrik. Cunningham resumed surveys in Delhi and Agra in 1871; in 1872 he surveyed Rajputana, Bundelkhand, Mathura , Bodh Gaya and Gaur; in 1873, Panjab; between 1873 and 1877, Central Province , Bundelkhand and Malwa. To initiate the survey in a systematic way Alexander Cunningham chose to record the Buddhist finds and monuments by plotting them on a map so as to understand the ancient trade route. The surveys of Cunningham led to several discoveries such as monolithic capitals and other remains of Asoka, specimens of architecture of Gupta and post-Gupta period; great stupa of Bharhut; identification of ancient cities namely: Sankisa, Sravasti and Kausambi. He also brought to prominence the Gupta temples at Tigawa, Bilsar, Bhitargaon, Kuthra, Deogarh and Gupta inscriptions at Eran, Udayagiri and other places. Cunningham had visited Bharhut stupa, located in present Satna district in Madhya Pradesh in 1873 on his way to Nagpur. He was fascinated to find such a heritage site like Bharhut but at the same time pained at its ignorance by the people and the government. He came back in February 1874. and collected the scattered pieces of sculptures and records and tried to understand its design and lay out. 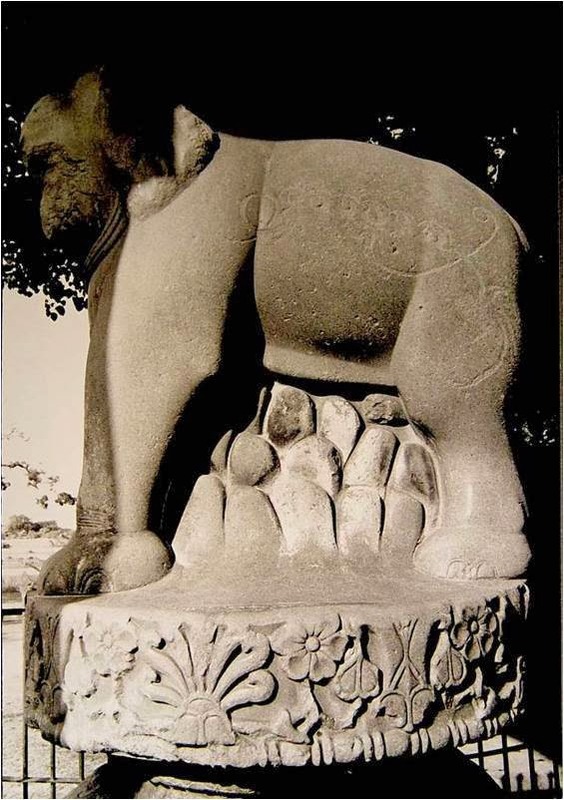 He came back for a third time in November 1874 and carried some of the sculptures to Kolkata and started a Bharhut gallery in the National Museum at Kolkata. 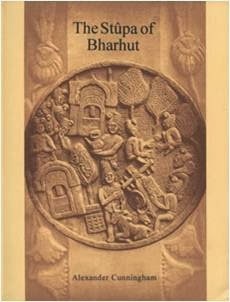 After a detailed study of Buddhist literature and the sculptures from the site, he published in 1876 a book titled "The Stupa of Bharhut", which is still one of the defining and most authentic sources on Bahrut. 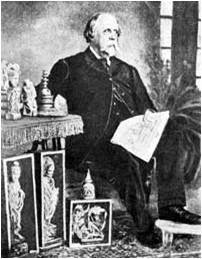 The founding of the journal Indian Antiquary in 1872 by his assistant James Burgess enabled publication of important inscriptions and their decipherment by scholars like Buhler and Fleet, Eggeling and Rice, Bhandarkar and Indraji. Cunningham also brought a new volume known as Corpus Inscriptionum Indicarum which was aimed at publishing inscriptions of connected epigraphical material in a compact and handy volume. On the proposal of Cunningham to set up an Epigraphical Survey to meet the growing demand of deciphering and interpreting the inscriptions, the government appointed J.F. Fleet as Government Epigraphist in January 1883 for a period of three years. Fleet extensively surveyed and brought to light many new inscriptions and also solved the problem related to Gupta era and he set up a new pattern and standard for the publication process of inscriptions which is followed even today. The enactment of the Treasure Trove Act, 1878 was a landmark in the confiscation and safety of treasures and antiquities found during chance digging. Lord Lytton in 1878 observed that conservation of ancient monuments cannot be exclusively left to the charge of the Provincial Governments as directed by the Central Government in 1873 and this has to be brought under the purview of the Government of India. He produced many preliminary reports on the monuments of Bombay , Madras , Rajputana, Hyderabad , Panjab and the Northwestern Provinces . Again the conservation work was assigned to the local governments when the tenure of Cole ended in 1883. By the time Cunningham retired in 1885 he recommended to the government to abolish the post of Director General and reorganise north India into three independent circles, viz., Panjab, Sind and Rajputana; Northwestern Provinces (Uttar Pradesh) and Central Provinces; and Bengal including Bihar, Orissa, Assam and Chhota Nagpur. The other important events during this period was the extensive surveys carried out by Burgess in western India between 1871 and 1885 and also with his assistants Alexander Rea in south India from 1882 where many new exciting discoveries were made. Dr. E. Hultzsch was appointed as Epigraphist in 1886 for a period of five years for deciphering and interpreting Sanskrit, Pali and Dravidian languages. Burgess was also called to take the additional responsibility along with the archaeological surveyor of south India to scrutinise the reports submitted by the three new Circles. Thus creating the system of ASI Circles that exists to this very day. Burgess who incessantly complained about Cunningham to the Governor General (every one of the written complaints - there were 12 if I recall correctly - were forwarded by Cunningham to the GG's office) was nonetheless recommended by Cunningham as his successor. Cunningham authored 11 volumes of the ASI's reports (and edited 23 volumes in toto) published during his tenure, while the rest were written under his supervision. He retired on 30 September 1885 and returned to London, and continued to write books on the Buddhist excavations and on ancient coins. He also published numerous papers in the Journal of the Asiatic Society and the Numismatic Chronicle. He was awarded the CSI on 20 May 1870 and CIE in 1878. In 1887, he was made a Knight Commander of the Order of the Indian Empire. He passed away in London on 28 November 1893. Today, his collection of rare Indian coins is displayed in the British Museum. He left behind numerous institutions and legacies the most prominent of which is the Archaeological Survey of India.